It's triple the swank for half the price with a lunch of Sichuan popcorn lamb chops at Parramatta's swankiest dining establishment, Swanky Noodle Restaurant. 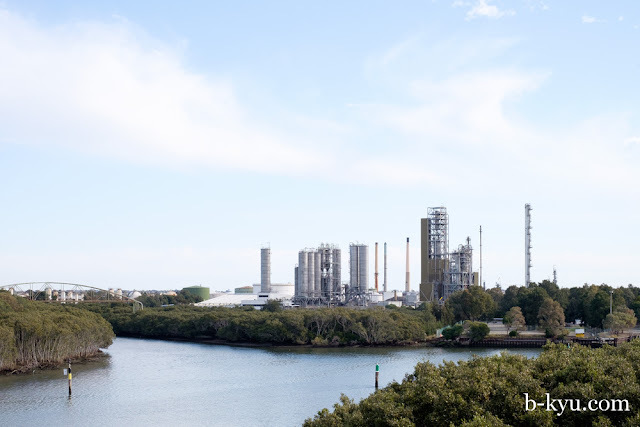 Our restaurant selection process usually involves picking a random suburb then wandering around and seeing what looks interesting. Today's suburb is Parramatta where Swanky Noodle Restaurant takes our fancy, and not just for the name. We felt like a bit of northern style Chinese, some spice and handmade noodles, in the swanky surrounds in which we're accustomed. We love the booth seating and the extra swanky touch of tissues and squeezy sauce bottles. We feel at home, especially as the booth seats slide along the floor a little as we sit down. The scrolls on the wall are a nice touch, yours for only twelve hundred bucks each. It really is swanky. 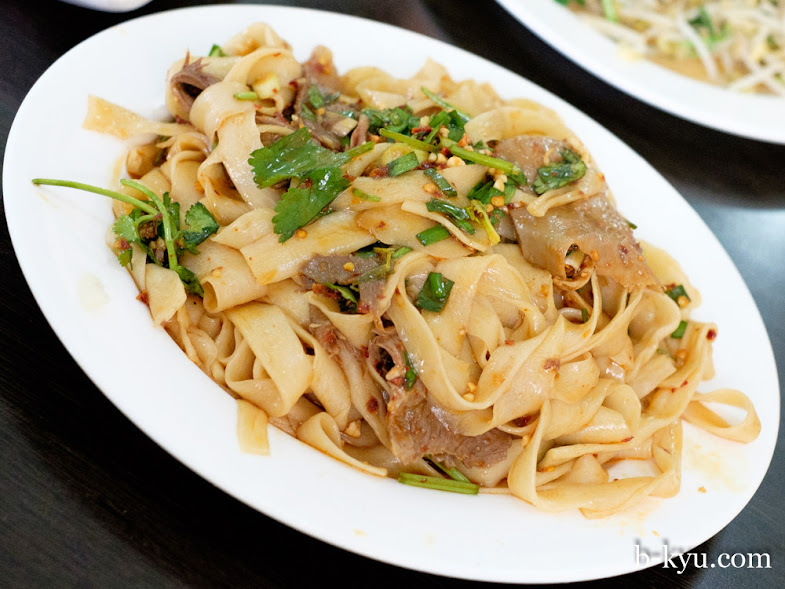 Our first pick was the the Xibo style spicy wide noodles - $13.80. The noodles are handmade with loving violence by a super tops auntie out the back, she slams that dough onto the counter with an almighty loud THWACK! 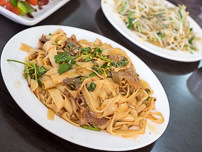 The noodles are excellent, thick with a nice bite to them. There's a few slices of wafer thin beef coated with oil and Sichuan pepper which are a little bit wonderful. Swanky Noodle Restaurant is so swanky that you may have to put out afterwards. If that sounds less than swanky to you, order some Spicy lamb chops - $15.80. These are hunky chunks of deep fried chumpy lardy lamb chops, a feed so filling it will put the proverbial bromide in anybody's tea. The batter is surprisingly light and crunchy, heading into tempura territory. The light batter and the fatty lamb pair up nicely, it's like popcorn lamb chops. 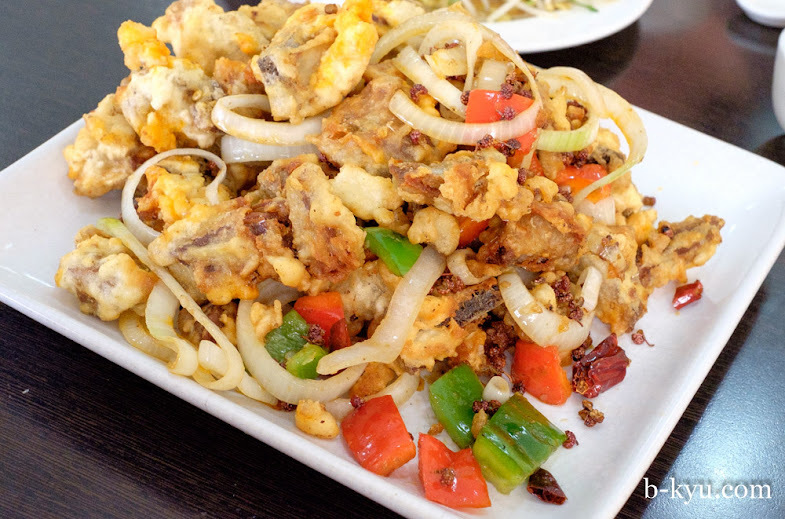 The crunchy nuggets are spiced up with Sichuan pepper and very gently cooked onion rings, plus some capsicum for colour. It's a huge serve. We stuff ourselves yet walk out with a full container of lamb and most of Alison's dignity. 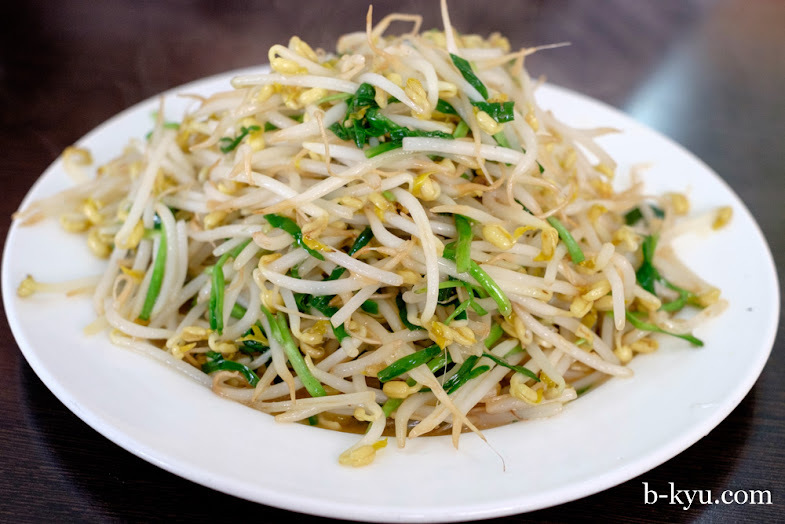 Fried chives with bean sprouts - $11.80. It was close to chive-less but we enjoyed the fresh lightness of it all the same. The clean simple fresh flavours worked wonders between mouthfuls of lardy lamb and stodgy noodle. 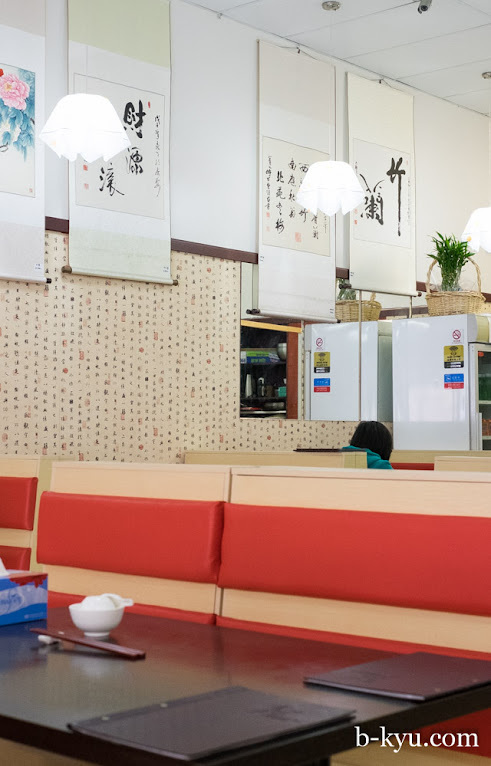 If we lived nearby we'd be back on a weekly basis for those handmade noodles, dang they're good. 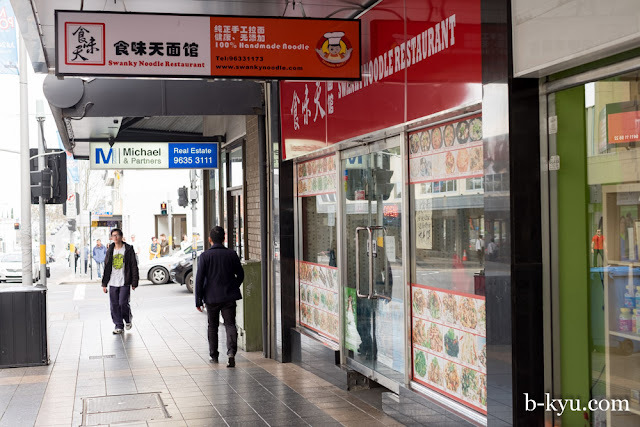 Swanky Noodle Restaurant is at Shop 1, 115-125 Church St, Parramatta. After lunch we walk off our popcorn lambchops following the Parramatta River down to the ferry stop at Olympic Park. It's a great walk, strange in parts, a mashup of ancient tree-lined riverscapes, suburbia old and new, detours into business parks, the odd glimpse of the riverside heavy industry of yesteryear, ending with a family friendly strip of reclaimed parkland and a bunch of tourists who get off the ferry at Olympic Park wondering where the heck the stadiums are, it's just a bunch of bloody trees. Not so many moons ago much have this would have been unwalkable, some of it toxic. We love Sydney, and it's getting better. 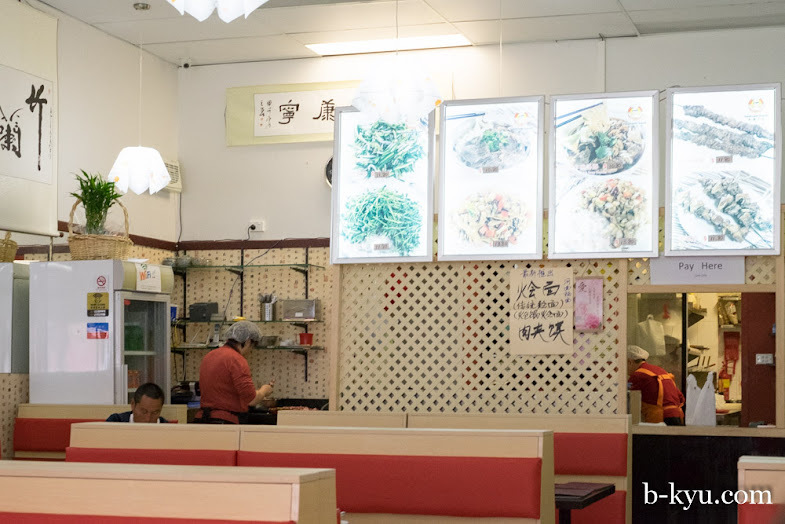 Popped in today, they are still thumping fantastic noodles, thanks B-Kyu. Xibo was the highlight, and stewed beef noodle soup was a delight. We also got a huge serve of spring pancake, feat vermicelli, a lil bit of pork and mushrooms. Glad you enjoyed it and thanks for reading! Glad to know the noodles are still thumping too!